Christmas song is one of the things that remind you of the Christmas season. If you're in the mood for Christmas, shouldn't your cell phone be in the mood too? You can get some great Christmas ringtones for your new iPhone X/8/7 or other cell phones to make yourself and everyone around you in the mood of the season. But how to easily make ringtones for iPhone without further ado? Thankfully, we're living in an environment with market-oriented economy. When there is a demand, there will be a supply. The high-end MacX MediaTrans just follows this principle, especially designed to meet your iPhone Christmas ringtone making needs. With intuitive interface, this iPhone ringtone maker guides you to make iPhone 8 ringtones from any Christmas songs just a simple click without needing any tutorial or guide, to expert and newbie, as well. See, it breaks its main interface into seven sectors, from which the music manager is the destination you should go. You can transfer Christmas music from iPhone to Mac and vice versa, along with Xmas ringtone making, music deleting, music playlists creating, etc. It also functions perfectly when it comes to transfer videos, photos, iBooks, VoiceMemos, ringtones, iTunes U, etc. between iPhone iPad iPod and Mac computer. No iTunes and iCloud needed! This iPhone ringtone maker supports all the iPhones iPads iPods with iOS 7 - iOS 10 operating system and requires your Mac OS X being OS X 10.7 or above (macOS 10.14 Mojave supported). 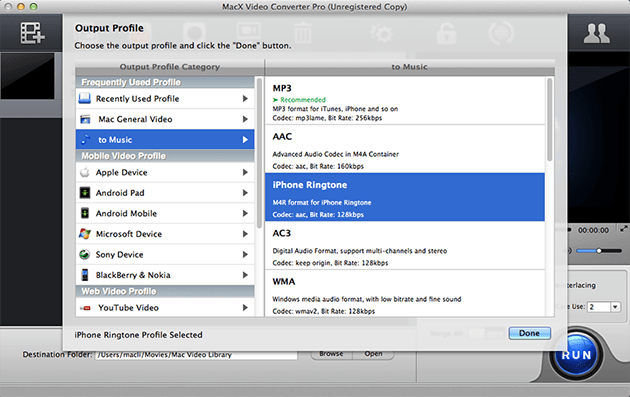 Step 1: Free download this iPhone ringtone maker on Mac. Launch it and then connect your iPhone to computer via USB cable. Later, there will pop up a message to advise you to properly adjust iTunes settings lest your iPhone data gets lost accidently. Just do as the notice shows. Step 2: Click "Music Manager" button to enter the iPhone music management section. All your iPhone music songs will be listed out on the right side; choose the Christmas song you like, use your mouse to point to it and you will see the ringtone icon appears. Press it and you will access to the Christmas ringtone trim window. Step 3: Move the lines shown on the above picture to trim Christmas ringtone at your will. The duration of iPhone ringtone is kept with 40 seconds. Step 4: Click "OK" and go back to main interface. 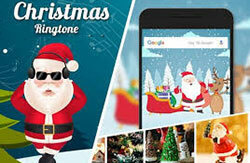 Click "Voice & Ringtone" to check if your Christmas ringtone is successfully created. Note: This iPhone ringtone maker also supports you to transfer ringtones from Mac computer to iPhone with whatever audio format, for it has the built-in auto-audio converting feature to automatically convert any audio music to MP3, AAC, etc. iPhone supported audio formats. Also auto-video converting features infuses into this all-round iPhone manager. As Christmas approaches, the Christmas video list grows fast. Use MacX Video Converter Pro (Mac version & Windows version) to create your own Christmas ringtone from these Christmas movies/videos, as well as iPhone 7/7 Plus ringtone free download. It brings users an all-in-one video converting solution with top quality, easiness, speed and efficiency. Moreover, it has unique feature to download website video from YouTube, Myspace Video, Metacafe etc. Say, with this versatile video converter, you can directly download your favorite video and convert it to be unique ringtone. Step 1: Free download and launch this free Christmas song video downloader. Hit "YouTube" button to load the YouTube Downloader. Copy and paste the URL of Christmas song you would like to download. Then just click "analyze" to load the Xmas song's information. Or you can simply click "paste & analyze" button such that the program will automatically detect the song video. Tips: This free Christmas music downloader gives you the capability of automatically adding the output MP4 video to iTunes Library so that you can import it to your iPhone 6/6 Plus or iPad Air 2/mini 3 for free playback. Click "Download Now" to start the process of merry Christmas music free download. Step 3: Choose the output format from the drop-down window. If you need to save the song as your Christmas ringtone for iPhone iPad or other devices, you can simply choose MP3 as the output format. Step 4: Click "RUN" to start the process of Christmas music conversion. Note: This Christmas song download/converter is equipped with a video editor, letting you cut off unwanted part of the christmas ringtone, merge multiple songs into one ringtone for Xmas, trim the Xmas ringtone to get your favorite parts and even support batch ringtones download at once. After that you can transfer the downloaded ringtones to iPhone iPad iPod through iTunes or other devices. There are plenty of Disney movies catering for Christmas holiday season. Here we listed top ten Christmas movies published by Disney studio, hoping you can enjoy a wonderful Xmas holiday when enjoying these Disney movies. Read and dig out the best family Christmas movie for watching on Christmas Eve or Xmas Day with family after delicious turkey dinner. MacX MediaTrans is a full-featured iOS Christmas ringtone maker to transfer Christmas music from Mac to iPhone iPad iPod and vice versa with super fast speed in one click.